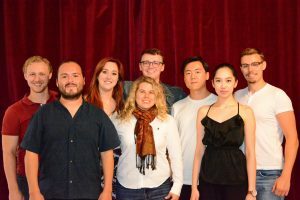 In addition to the PSN Voice Competition, singers hand-selected by PSN clinician and Czech National Theatre Head Coach Dr. Jelena Nosková, as well as Dr. Martin Otava, General Director of Pilsen Opera, will compete to sing a rare house audition at J.K. Tyl Theatre for Head of the opera company Tomáš Pilař, and other artistic staff, conductors and coaches of Pilsen Opera—one of the major, full-time opera companies in central Europe. Up to six finalists will receive full consideration for professional performance contracts in the Czech Republic for the 2019-2020 or 2020-2021 seasons. This competition is intended for advanced singers who are emerging professionals and are interested in professional opportunities in Europe. 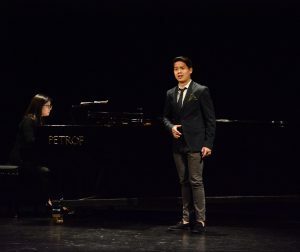 In 2018, 21 year-old soprano Yvette Keong won the audition and was invited to sing a role in the Pilsen Opera’s production of Thaïs in 2019.